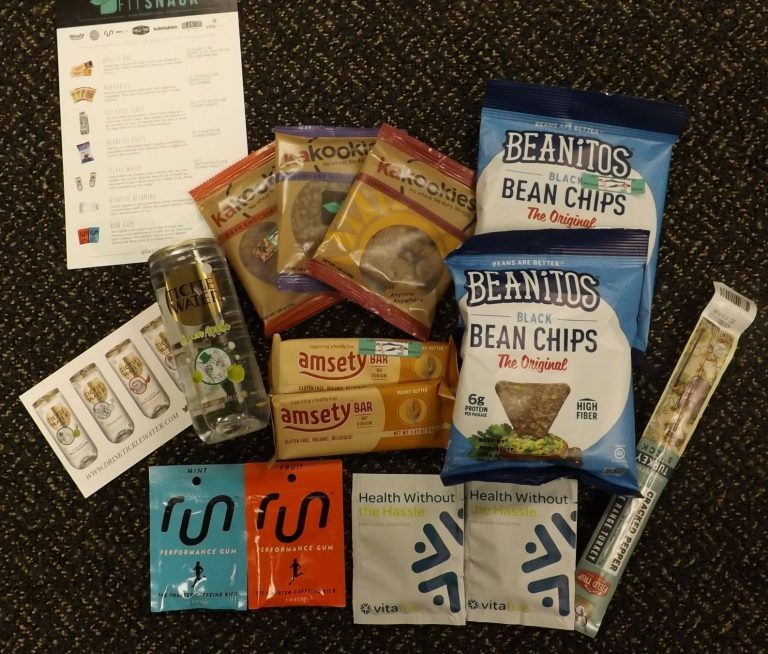 Fit Snack is monthly snack subscription box that delivers nutritious and delicious snacks and beverages. 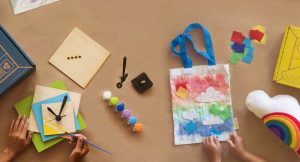 The Fit Snack Team utilizes their “Perfect 10” system to assist them in deciding which items will help to provide a well-rounded diet and also taste delicious. Every month, Fit Snack selects items that are vitamin and mineral rich, protein packed, a balance of saturated and unsaturated fats, consist of complex carbohydrates and that are consciously and sustainably sourced. 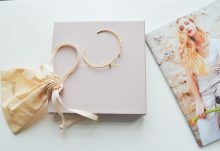 Each Fit Snack subscription box has 6-9 items inside their monthly subscription box. With today’s Fit Snack review, we’re unboxing the February 2017 Fit Snack box. The majority of the contents are snack and on-the-go items. Although, Fit Snack regularly includes gourmet products. 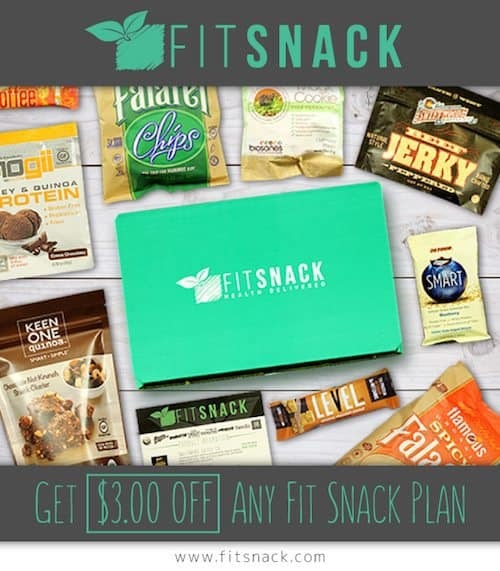 The Fit Snack monthly subscription box is valued at $30+ USD. A Product Information card is provided inside each box which refers to each item with photos, a brief description and promo codes. On the backside of the Product Information card is a workout regimen and a trainer tip. Here is a glance at the items inside the February 2017 Fit Snack. 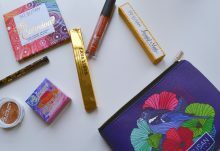 There were 7 items inside the February 2017 Fit Snack monthly subscription box. Amsety Bar “is the world’s only nutrition bar designed to support liver health. Developed by leading us liver health experts” referring to the Fit Snack product information card. Fit Snack generously included two peanut butter Amsety bars in the February 2017 box. The bars are packed with vitamins and minerals, are chewy and melt away in your mouth and do not get stuck in your teeth. Kakookies are made with no wheat, no dairy and no eggs. 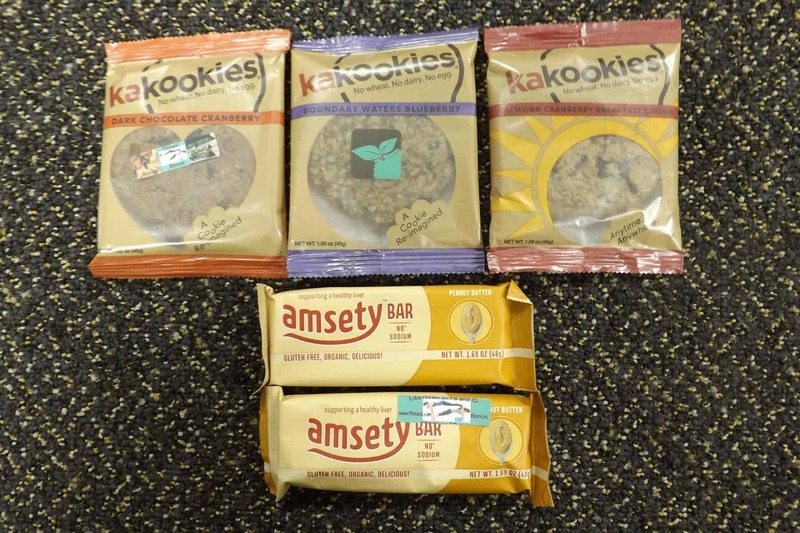 “Kakookies are a perfect grag-n-go snack for travelers, outdoor enthusiasts, bust families and anyone interested in living a cleaner lifestyle” as it reads on the back of the Kakookie packaging. Fit Snack included three Kakookies in the February 2017 box: Dark Chocolate Cranberry, Boundary Waters Blueberry and Almond Cranberry Breakfast Cookie. Yum so tasty! 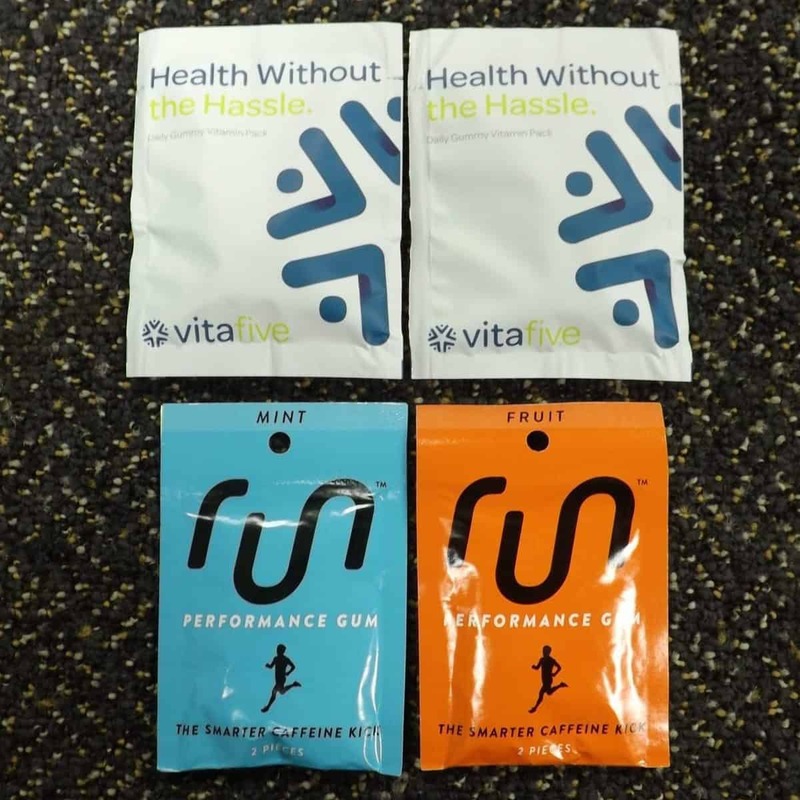 Vitafive Vitamins are packaged inside individual on-the-go packets. Fit Snack provided two packets containing two gummies inside the February 2017 box. “CoQ10 Supports a strong heartbeat to help maximize your cardiovascular health. Vitafive has Custom Gummy Vitamin Packs personalized to fit you” referring to the Fit Snack product information card. The gummies received inside our Fit Snack box were a mango melon/citrus flavor. Run Gum “is the fastest way to help energize and maximize your performance in sport and life. Our energy gum is packed with caffeine, taurine, and b-vitamins without the filling liquid of an energy drink” referring to the Fit Snack product information card. Fit Snack included two packets of Run Gum inside February’s Fit Snack; Mint and Fruit flavor. Inside each individual on-the-go packet is two round pieces of Run Gum. FieldTrip Jerky “Time to kick things up a notch with a shot of garlic, black pepper and rosemary to get you back on track. All Natural Grass Fed Jerky & Grass Fed Meat Sticks to fuel your next adventure” referring to the Fit Snack product information card. Inside February’s Fit Snack subscription box we received the Cracked Pepper Free Range Turkey Meat Stick. Every bite explodes in your mouth with flavor and even half a stick could keep myself on my feet for a good duration. 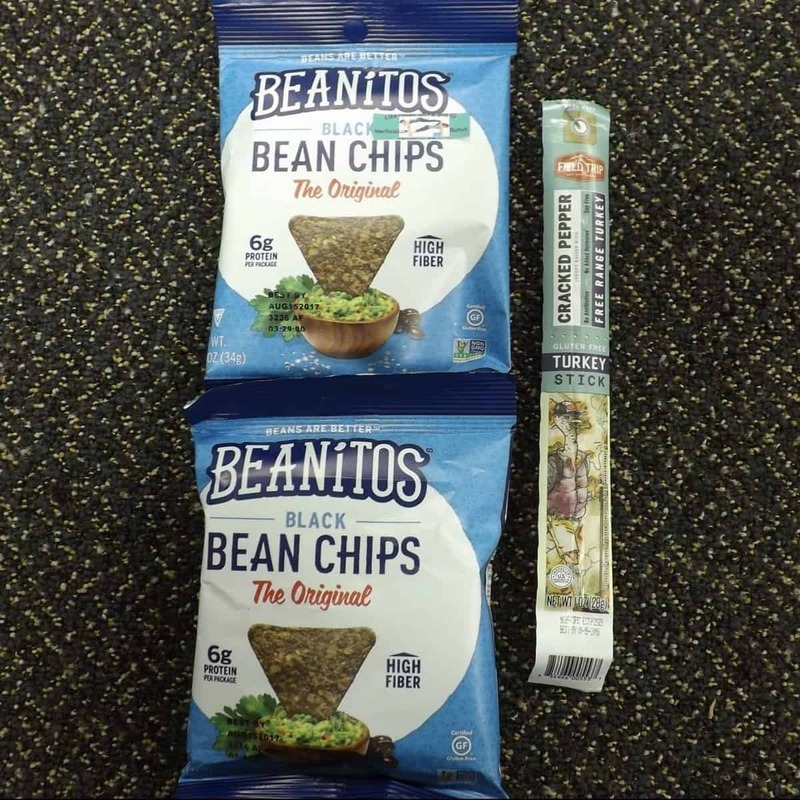 Beanitos Chips “is packed with protein, fiber and flavor” referring to the Fit Snack product information card. Fit Snack included not one but, two bags of Beanitos Chips inside the February Fit Snack box! Beanitos Chips are a great alternative to other not so healthy chips to go along with your favorite dips. The chips are lightly salted and have a distinct black bean taste. Tickle Water was the featured item inside the February 2017 Fit Snack. Included with the Tickle water was a recipe card for a “Watermelon Ginger Fizz drink.” “Tickle water was created to give children their very own bubbles that were fun, delicious and cool. At Fit Snack we discovered it’s also a great option for adults” referring to the Fit Snack product information card. 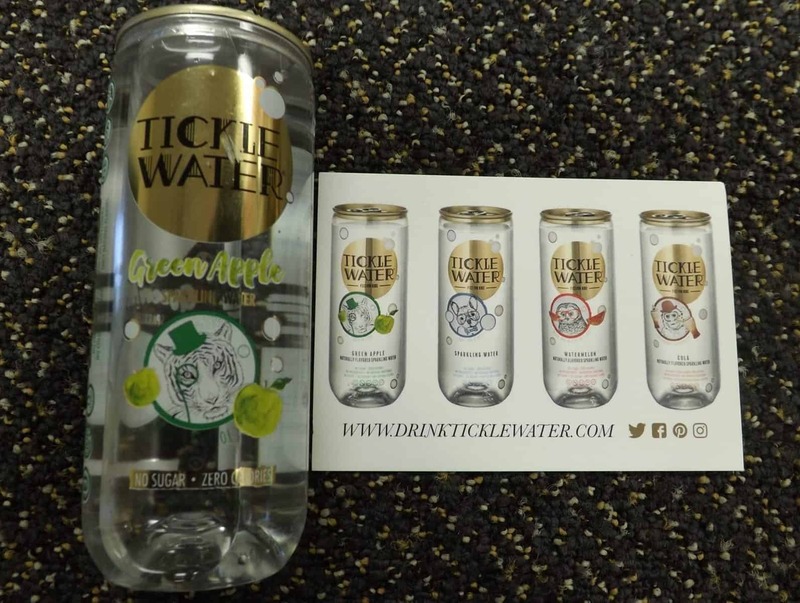 Inside our February 2017 Fit Snack we received the Green Apple flavored Tickle Water. In our opinion it is at the top of the delicious list when it comes to sparkling water. Protein, Vitamins, minerals, conscious sourcing, alternative goodies, natural energy, balanced saturated and unsaturated fats and complex carbohydrates! Fit Snack really takes it all into account while assembling each box. Thank You Fit Snack! What did you think of the February 2017 Fit Snack box?